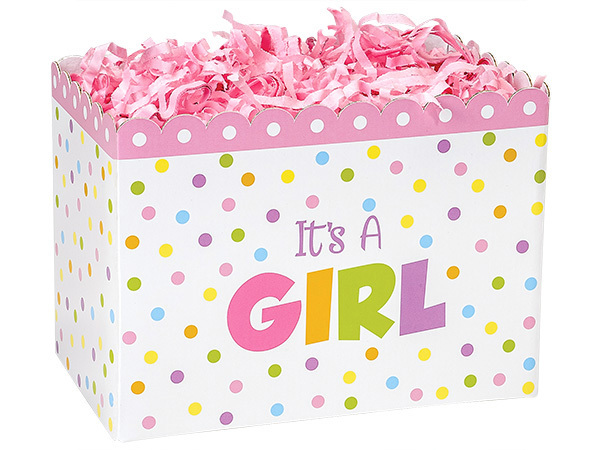 Its a Girl box comes with 3 flavors of popcorn. A 9 cup bag of buttery, one of real cheese and one of caramel popcorn. The gift is finished off in a clear cello bag and tied with matching ribbons. Box size is 10 x 6 x 7.